Indian Shores, Florida. Steps to Gulf Beach!! Why pay Extra! 10% Discount if booked by Jan 31st. 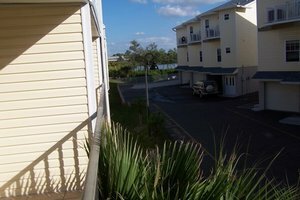 This bright and cheerful 2 bedroom townhouse vacation rental is perfectly located on the Intercoastal Waterway in a quiet residential area of Indian Shores, Florida, and right across the street from public access to the Gulf beach! The main floor is spacious with Living room and newly tiled deck & Dining area, full Kitchen, and a large, recently renovated half bath. Top floor has two bedroom suites, each with their own full bath. Master bedroom also has a newly tiled deck. The unit is recently renovated with new furniture, freshly painted and brand new (2007) Berber carpet throughout! 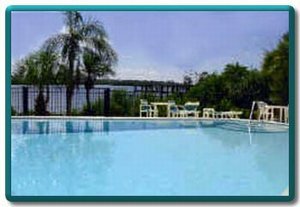 Other features include: oversized garage and reserved parking, heated swimming pool overlooking the Intercoastal, digital cable TV, hi-speed Internet, phone with unlimited local and long distance. 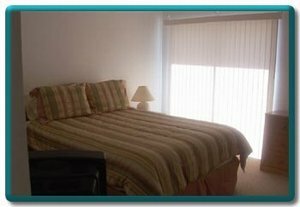 Walk to convenience stores, restaurants, pubs and miniature golfing. 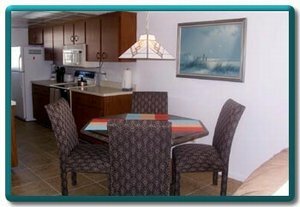 We are centrally located on Sand Key Island, just minutes from either Clearwater or St. Pete Beaches. Car is not necessary, Sun Coast Trolley right outside complex! This is a quiet and relaxing locale, but close enough to the action. It's minutes from John’s Pass where you can browse in quaint shops, rent a wave runner, or take a sunset gambling cruise on the Gulf. Only 35-45 minutes from Tampa airport- land in the morning and be on the beach in the afternoon! Reservation Deposit: To secure your rental, an Advance Rental Deposit of $300 for reservations of 1 week, $400 for reservations for more than 1 week but less than 30 days and $500 for reservations 30 days or more must be received within 24 hours. 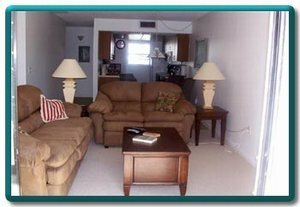 Taxes and Fees: All rental rates are subject to state and local taxes totaling 12%, and a Cleaning/Departure fee of $125. Final Payment: Balance of rent is due 30 days prior to check-in. Payment can be made by Paypal, Credit Card (MasterCard, Visa, and Discover only). Cancellations & Refunds: The Advance Rental Deposit is non-refundable for any cancellation received less than 90 days before the arrival date. There is a $150.00 charge for cancellations made 90 days or more from the arrival date. No refunds are given if the reservation is cancelled less than 30 days prior to the arrival date.